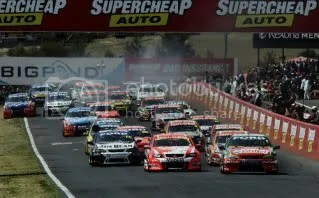 I am watching the Bathurst races now. Go Holden. 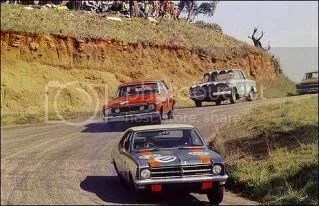 I went to the races in the 70s camping out overnight on Mt Panorama and loved it. My brother and brothers-in-law attended yearly up until they hit their 50s, then the ‘kids'(20+) with their hard-drinking and hoonisms got too much. LMAO. 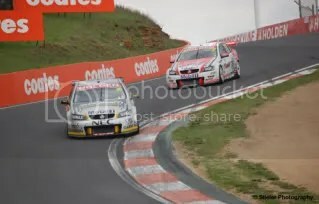 The Bathurst 1000 is a 1000 kilometre (620 miles) race held annually at Mount Panorama Circuit in Bathurst, New South Wales, Australia. The race was traditionally run on the first Sunday in October but is now held on the second Sunday. The race traces its lineage to the 1960 Armstrong 500. It is known among fans and broadcasters as “The Great Race”, and is widely regarded as the pinnacle of Australian motorsport. 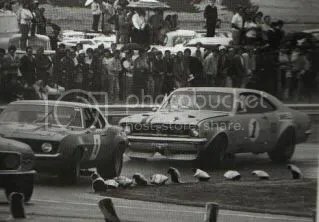 The Esses in the late 60-early 70s. We camped just behind where those people are standing. We owned a Monaro street car until it got in a bingle. Er – what's a bingle? Someone 'crashed' into the side of it. WOW now that's a race. Don't care much about racing here in the states—that going round and round YAWN BORING but NASCAR fans that's just me. Now this is a race.